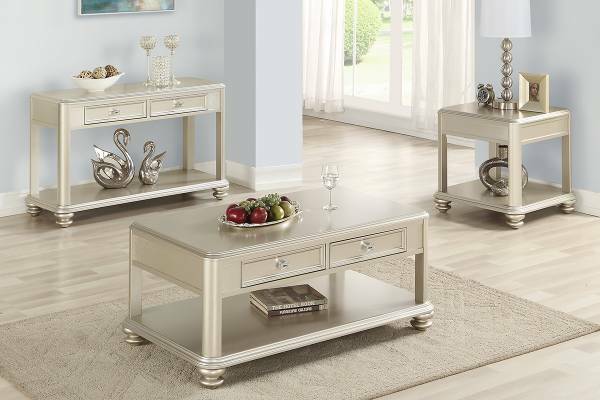 Made up with elegant ivory white, this American tradtional three pieces table set brings simplicity into your home. 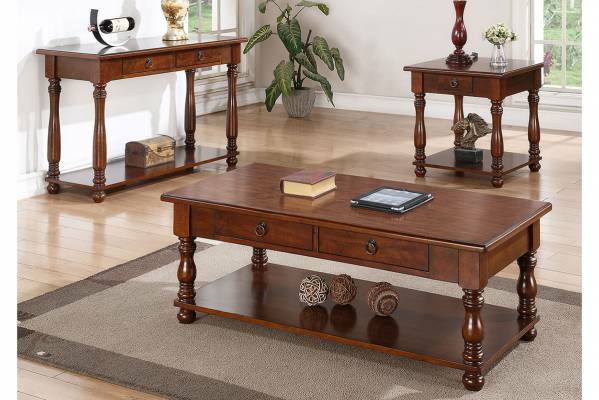 Come with a console, coffee, and an end table, you have enough room to showcase your family portraits and any of your favorite decorative vase. 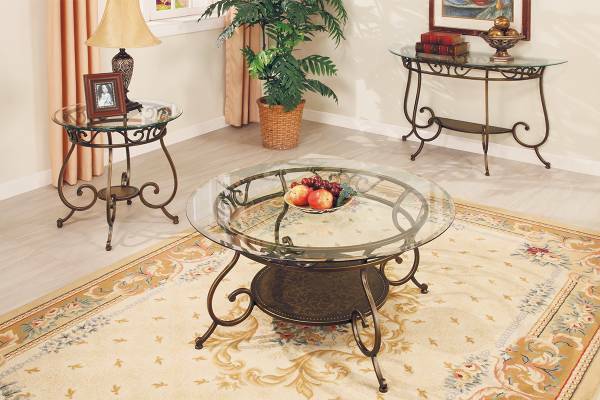 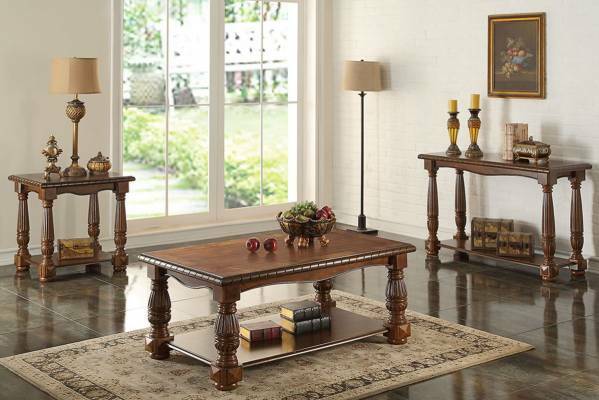 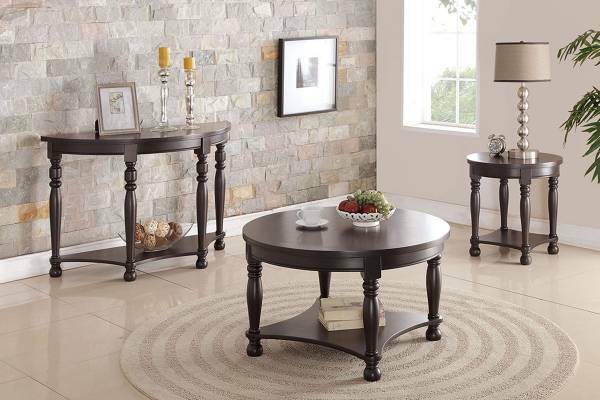 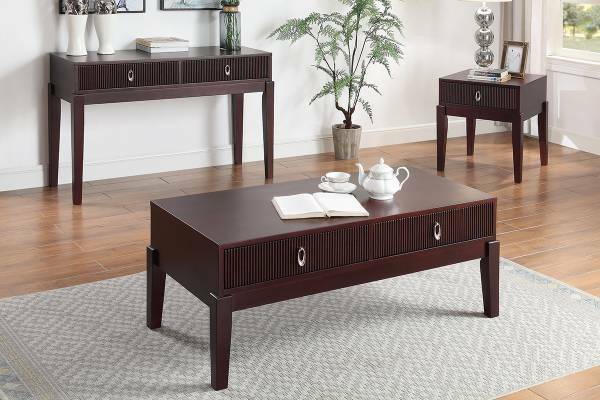 The coffee table consists of a clear glass inlay that brings a nice touch to this beautiful collection.